These statements are rationalizations and fail to “get at” the underlying issues. 1. It’s as if a marriage is an animal gone bad. A marriage does not have a life of it’s own. In reality, there is no such thing as a “marriage.” One is “married” as a result of making some promises and signing a paper at one point. After the paper is signed, two people continue communicating and acting toward one another in particular ways that they hope will help them get what they individually want. Just as there is no “marriage,” there is no such thing as a “relationship.” There are, however, ways of relating for which each person is responsible. Remember the comedian Flip Wilson (that dates me) and his “The devil made me do it” skit? 2. We idealize “marriage” or “romantic relationships” with the expectation we will get what we want, without much effort to boot. The movies, popular public press and romance novels/stories don’t help much here. A “marriage” is behind the eight ball from the word go. “IT” can’t win. 3. From day one most of us don’t have a clue about how to get, build, nurture and maintain healthy and intimate ways of relating. We need ‘love 101’ and it’s not there. We rely upon experimentation or bad models. 4. If the “marriage” is dead, why in the world would one choose to have an affair? Talk about jumping from the frying pan into the fire. It really is stupid. You add a whole layer of deceit and shame that eventually will result in consequences more dire than approaching your spouse and saying, “I’m really unhappy. What I’m doing with you obviously is not working. I want out.” Oh well, maybe some people need more problems and suffering. 5. If the “marriage” is bad, obviously, I don’t have to look at me. I can blame “it” or the other. Some of us find it difficult to look at me. Some of us don’t know how to look at me. Some of us never think of looking at me. 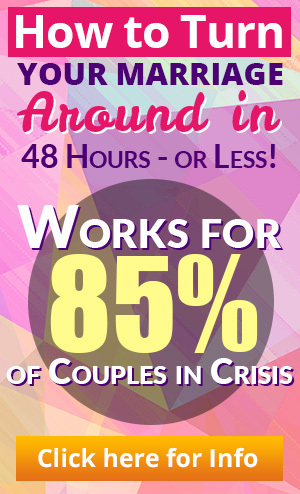 Tip: If your partner/spouse is having and affair and blames it on the “marriage,” don’t buy into it. The “marriage” is not the problem. You are not the problem. Your spouse/partner chose the affair out of ignorance, fear or inadequacy. 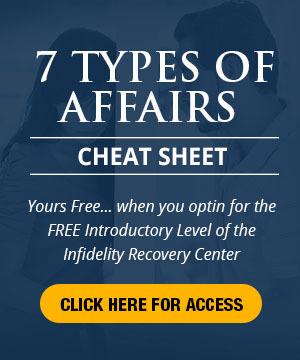 The “My Marriage Made Me Do It” is just one of 7 affairs outlined in my E-book, “Break Free From the Affair.” For more information on the issues behind the other kinds of affairs and tips for dealing with them, visit my site.